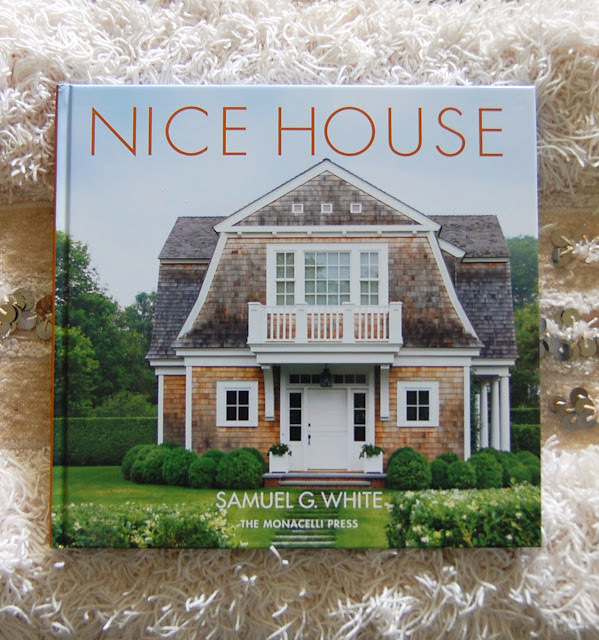 "This lavish color presentation of over 200 images showcases the results of this unique approach in eighteen projects that range in size and location from demure city pied-à-terres to chic lofts and grand country estates. Conversational, engaging commentary and original sketches from the designer’s portfolio reveal his creative process, explain the inspiration from which each space’s theme is derived, disclose his most valuable tips, and explain how his experience has informed the creation of his own custom furniture, fabric, and carpet lines." "Simplify, Connect, Expand. 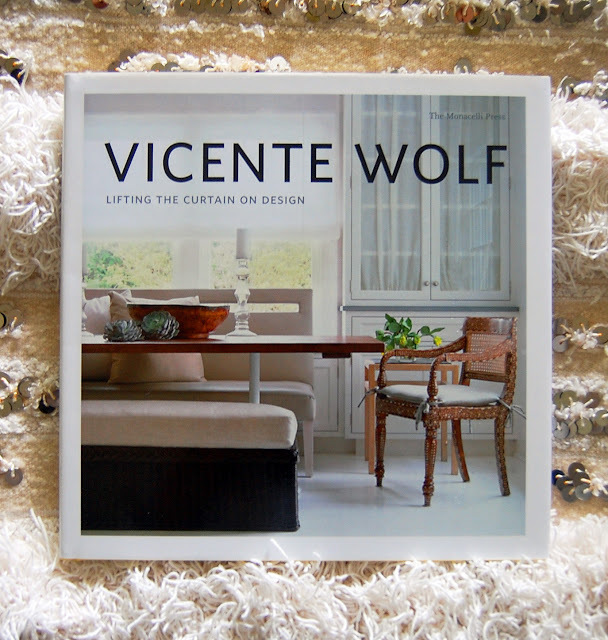 These principles, each fundamental to the practice of design, provide the framework for interior designer Vicente Wolf’s engaging new book. Wolf is famous for his modern and elegant style, always guided by integrity and simplicity. Lifting the Curtain on Design delves into his selected themes from myriad viewpoints: through the prism of international travel, via the detailed focus on a single project, and finally by means of the sweeping perspective of a seasoned design mind. A dazzling presentation of Wolf’s current projects touches on grand design gestures and minute yet indispensable details. 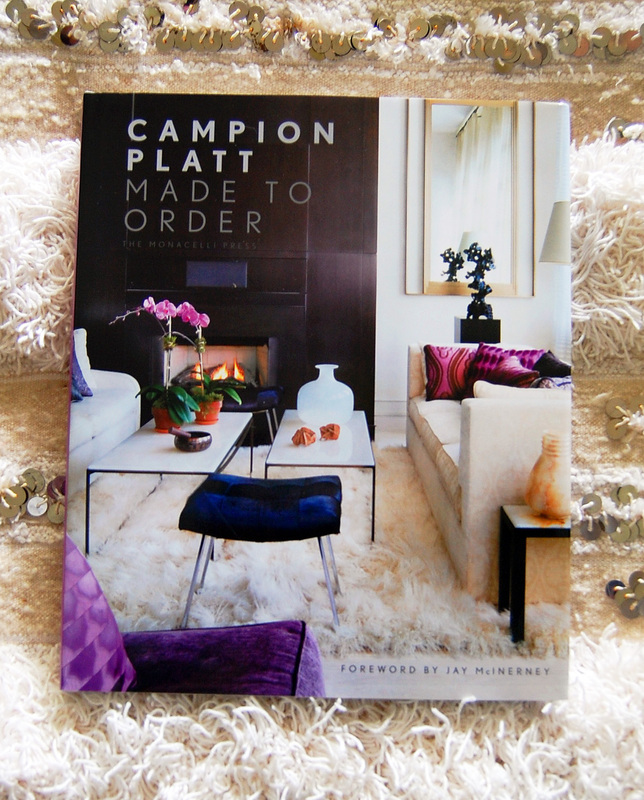 Lifting the Curtain on Design offers a glimpse into the mind of the designer at work, from inspiration through implementation to unforgettable finished room." PS Visit Vicente's blog here. "A book of houses where we all would like to live. The locations are diverse—New England, Long Island, Pennsylvania, California—and the architecture encompasses both traditional and contemporary vocabulary. They are unassuming dwellings whose architecture moves easily to the background, supporting comfortable furniture, works of art from a variety of periods and styles, and the plantings and outdoor spaces that are essential to the composition. These houses display grace and style inside and out. They invite a full range of activities from formal to informal, from celebration to repose, from a solitary existence to a house full of children or guests. These houses have good places to read a book or write a letter, to take a nap, and to cook and eat with family and friends. Author Samuel G. White is a partner in the New York firm Platt Byard Dovell White Architects. This is his third book." And enormous thanks to top chick (and fellow blog-sista) Kerry of A Tranquil Townhouse, who sent me the following email: "Hi Louise, Knowing your love of books which might even rival mine(!) I thought of you when I came across this site today... does quite a bit of the work for you." OMG thank you Kerry! Booko is my new BFF. The books you've been posting about look wonderful! 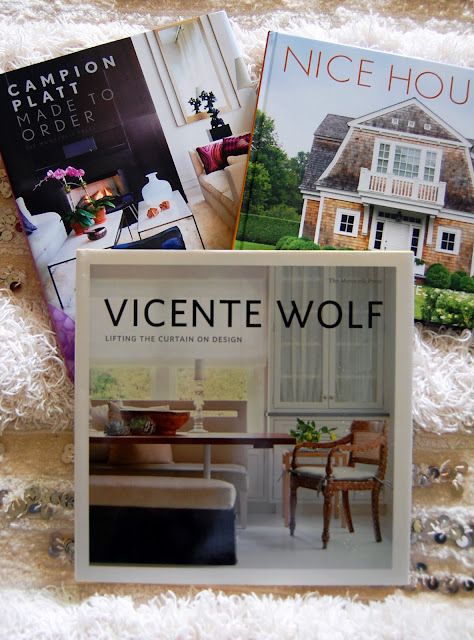 Personally love Vicente Wolf's refined style, proves less really can be more! Mm you have got me thinking of some great Christmas ideas. Thanks for the recommendation.